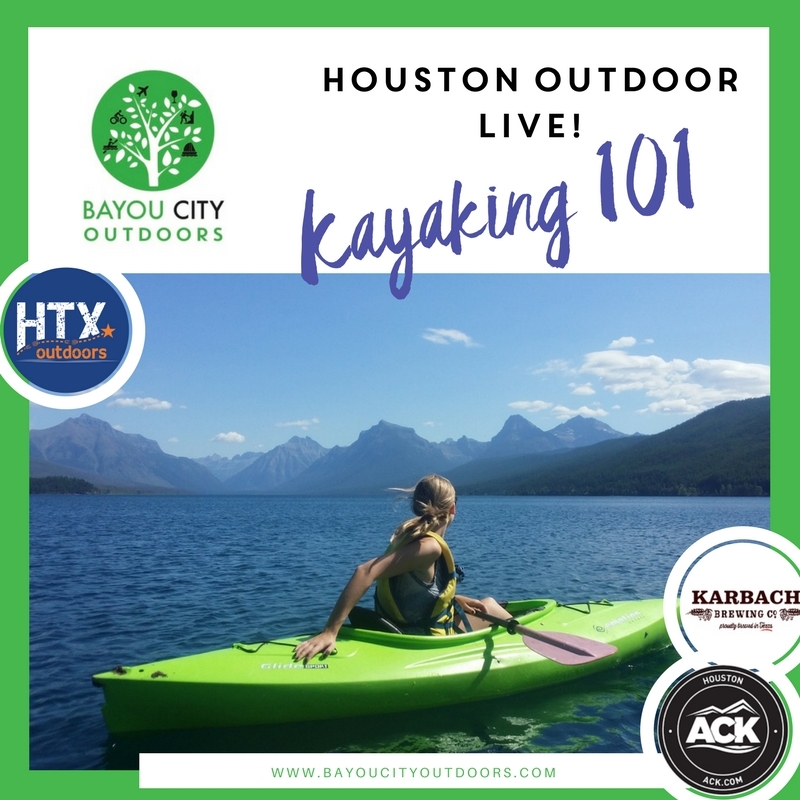 Houston Outdoor LIVE - join us in person. Or, check the LIVE event out online at our Facebook Live presentation. Both events run simultaneously, and you can join the Q&A online or in person. Plus - our friends at Karbach Brewery might just drop in with some refreshments! Kayaking, it's friends, it's meditation, it's adventure, it is whatever you want it to be. With miles of bayous, unlimited lakes and seashores, we live in a kayaking haven.